You’d be hard-pressed to find a dermatologist that doesn’t recommend using retinol. The supposedly do-it-all ingredient helps fade dark spots, treat breakouts, and is even FDA-approved to smooth the look of fine lines and wrinkles. In short, it’s the ultimate complexion multitasker, and it should already be in your regimen. “Unless one has an allergy to vitamin A, truly everyone should be using a retinol,” says Suneel Chilukuri, M.D., Houston-based, board certified dermatologist and founder of Refresh Dermatology. According to him, retinol’s powerful skin-correcting skills are thanks to its ability to regulate cellular turnover. Here’s how cellular turnover works: retinol helps the newest, healthiest cells rise to the surface of your skin, allowing the dull and lifeless cells to get sloughed off. This also aids decongest your skin, as cells can build up in your pores — enlarging them and causing breakouts. (Learn how to shrink your oversized pores here.) That same cellular turnover also helps reduce skin discoloration, fading sun spots, acne scars, and other traumas. The benefits of retinol are easy to understand — but the hard part is finding the right one. Let this guide to retinol do the work for you. What are the different forms of retinol? You’ve likely heard of both, but there is a difference between a retinol and a retinoid. A retinoid is the general category, which includes retinol and retinoic acid. “Retinol is an over-the-counter version of a topical retinoid that is the pre-cursor version of the active drug, [tretinoin],” explains Dr. Bashey. Tretinoin, which is retinoic acid, is only available as a prescription. That means it’s far more potent than what you’d be able to buy over the counter (and is FDA-approved to reduce fine lines and wrinkles!). However, it can also cause skin sensitivity — which is why you should use it under the care of a doctor. Regular retinol is less potent, and thus, less irritating. How does retinol work within the skin? Retinoids are a family of chemical agents that work at the nucleus level of the skin cell — that’s what makes them so powerful. Like you just learned, their most important characteristic is their ability to regulate skin cell exfoliation. It also helps stabilize keratinocytes — the pigment-producing cells of the skin — so the tone of your complexion is more consistent. And, because topical retinoids can help boost collagen synthesis, your skin can become more resilient with consistent use, helping smooth fine lines and wrinkles. What should you look for in an OTC retinol? “When you’re selecting a retinol, it all comes down to two things: concentration and formulation,” says Dr. Bashey. “If it’s your first foray into the retinol world, you want to start with a lower concentration.” He suggests beginning with ZO® Skin Health Retinol Skin Brightener, at either a .25 percent or .5 percent strength ($82 and $104, respectively). “Once you start to build tolerance, you can move to higher concentrations,” he notes. Most experts agree that it’s important to seek out a product with encapsulated retinol. Encapsulation not only protects the retinol from degrading in the bottle, but also functions similarly to a time-release pill. The retinol will gradually release into your skin, converting it into retinoic acid. When do you need prescription-strength? Of course, you should consult with a board-certified dermatologist to get the best answer for your skin. Just know that prescription-strength tretinoin — which again, is pure retinoic acid — will deliver the most powerful line-smoothing results. It is available in multiple strengths and formulations, so let your doctor evaluate your skin’s needs and suggest the best one for you. What is the best way to apply a retinol? When working with any skincare product, it’s always best start with a clean slate, so wash your face first. Then apply a non-comedogenic moisturizer, and once that has dried, slick your retinol on top. “Make sure that your skin is well-hydrated and in proper condition to prevent skin irritation as a retinol is first introduced to the skin,” Dr. Chilukuri says. Now that you’re wearing your retinol, it is not the time to incorporate your favorite exfoliating acids into your routine. “Remember, retinols will help your skin with exfoliation and cell turnover,” warns Dr. Chilukuri. 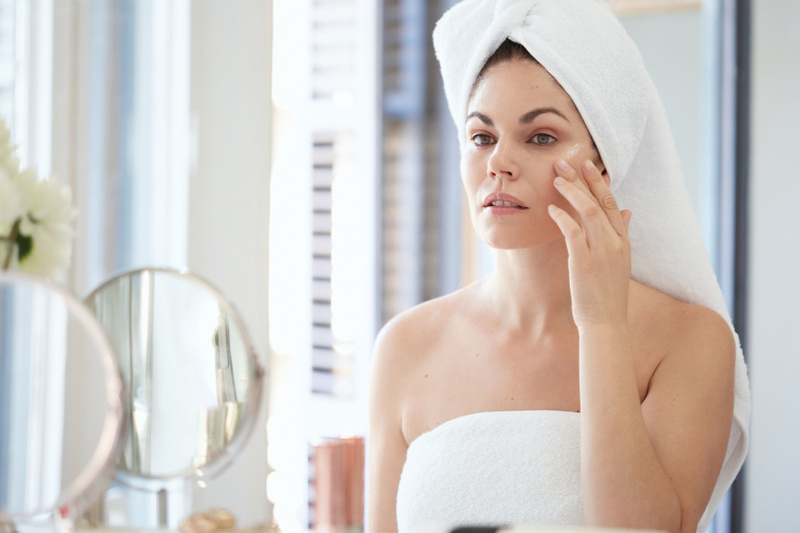 “You want to avoid combining it with other chemical exfoliants, as it makes it harder to convert retinol to retinoic acid and can disrupt the skin barrier, causing increased sensitivity and irritation.” (Acids also penetrate better when skin is at a lower pH, so applying a retinol right before or after your acids might neutralize the acid, making it less effective.) Play it safe and stick to acids in the morning and retinols at night for best results. If your skin is more sensitive, or you spend a lot of time outdoors, use your retinol and acids on opposite nights, avoiding using either in the mornings so your skin doesn’t get irritated. And when using a retinol at night, make sure to wear sunscreen during the day (which you should be doing regardless! ), since it makes your skin more sensitive to harmful rays. Do retinols have side effects? There are growing pains with retinols, and the higher the strength, the stronger the side effects. Retinols can cause burning, stinging, crusting, redness and flakiness. Upping your moisturizing game when you start using a retinol will help combat these cons. Peeling skin is not a good look on anyone, and the best way to avoid those side effects is to ease into using a retinol. Start with the weakest strength topical retinoid or tretinoin, and over a period of time gradually increase the frequency and strength. Those with sensitive, dry, or rosacea-prone skin should use a retinol that is less irritating. “One of my favorite products is PCA SKIN Dual Action Redness Relief ($115), which reduces and prevents redness and sensitivity for even the most sensitive skin — and especially those with rosacea,” says Dr. Chilukuri. “This particular product not only immediately helps with the redness, but it also helps repair the skin barrier for long term relief.” If you have oily skin, there’s a good chance your complexion can tolerate a stronger formula, including tretinoin. Furthermore, you should not use retinol if you are or are planning to become pregnant. Talk to your doctor about how this could affect your skincare regimen. What if I only use natural beauty products? For example, kojic acid can be applied to the skin to control pigmentation. Biossance Squalane + Phyto-Retinol Serum ($78) contains a plant-based alternative to retinol called Bakuchiol to help reduce lines and wrinkles and improve elasticity, firmness and evenness. And of course, to promote more exfoliated skin, use alpha- or beta-hydroxy acids. Learn more about AHAs and BHAs here. Dr. Suneel Chilukuri is a paid Allergan consultant.